Contact LV= customer services on their freephone number 0800 085 5663 for general enquiries about your car insurance policy, for home cover quotes and to make a claim following an emergency. Contact Liverpool Victoria (LV=) on their car insurance phone number 0800 085 5663 for free to make general enquiries about their vehicle policies such as the cost of adding optional extras to your cover such as breakdown protection and windscreen replacement. 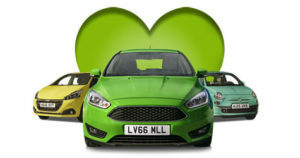 If you have recently bought a new car you can call this helpline to enquire about the cost of adding it to your existing cover to from a multi-car policy. You may also phone this helpline Alternatively if you want to get a quote on the cost of insuring your car with LV= or you need to make a claim following an accident you should examine the table below to find the correct customer service helpline to call. The LV= car insurance helpline 0800 085 5663 is free to call from all mobiles and landlines within the UK. Lines are open from 8am-8pm Monday-Friday, 9am-5pm Saturday, 10am-4pm Sunday and 9am-5pm during bank holidays (excluding Christmas Day). Phone LV= on their dedicated contact number 0800 085 5663 for all general enquiries about your motorbike policy, including renewals and accident claims. Moreover you should dial this number to cancel your insurance if you have sold your motorcycle, however be aware that you may be charged an early cancellation fee under some policies. You should also call this helpline to add cover for your accessories, such as helmets and leathers, to your policy. Contact LV= home insurance via their customer service phone number 0800 085 5664 for free to get a quote on the cost of protecting your home against emergencies such as fire, theft and flooding. Existing policyholders may also dial this helpline to renew their policy and to add valuable items to their contents cover, however note that your premiums are likely to be affected accordingly. In the unfortunate circumstance where you need to make a claim on your policy you should get in touch with an advisor who will arrange alternative accommodation until the incident is resolved. Please note that this freephone number should only be used by LV= home insurance customers who took out their policy after 22nd May 2018, if you have an earlier policy then you should call their alternative helpline 0800 633 5212 which is also free of charge. Both lines are open 8am-8pm Monday-Friday, 9am-5pm Saturday and 10am-4pm Sunday, although reduced opening hours can be expected during UK bank holidays. Landlords can contact Liverpool Victoria (LV=) on their dedicated freephone number 0800 028 5165 for general enquiries about their buy-to-let property insurance policies. For instance if you have recently acquired an additional house to your portfolio you can call this helpline for a quote on the cost of adding it to your existing policy. Furthermore if your tenants have reported an emergency such as fire or boiler breakdown you can call this number to make a claim on the repair costs. Please note that this number is only open 9am-5:30pm Monday-Friday hence this office is closed during weekends. Contact LV= travel insurance for free by dialling their freephone telephone number 0800 707 6966 for quotes, claims and renewal enquiries. You should also phone this helpline to add extra cover to your policy, for instance to insure against injuries incurred as a result of skiing. If you or a member of your party suffers a medical emergency whilst abroad then please phone their 24 hour emergency helpline +44 1243 621 537 for immediate assistance. Phone LV= for free on their freephone contact number 0800 756 8563 for general enquiries about their range of pet insurance policies. Here you can renew your cover, find your nearest affiliated veterinary surgeon and notify them of a change in your address so that your pet’s microchip details can be updated. Lines are open from 8am-8pm Monday-Friday and 9am-5pm Saturday. Phone LV= life insurance on their customer care contact number 0800 678 1906 to get a quote, for advice about their range of over 50’s products and to update your bank details. If you would like to increase the lump sum available to your loved ones following your death you can call this helpline to increase your monthly payments, however note that some policies are ineligible for this service. In the tragic circumstances where you need to make a claim on a life insurance policy you can call their trained advisors for support and further information about the remuneration process. Contact LV= on their customer service telephone number 0800 032 9301 for information about your pension pot, to increase your monthly contributions and to confirm the funds currently available to you. You may also call this helpdesk to request policy documents and to report a change of address. Please note that this helpline is only suitable for pension customers, therefore if you hold another type of retirement product with Liverpool Victoria you should phone the relevant helpline from the table below. Phone the Liverpool Victoria (LV=) investment team for free via their freephone contact number 0800 756 8516 for confidential financial advice from a trained advisor. Existing customers may also phone this helpline to track their investment performance and to add further funds into their account. Lines are open from 9am-5:30pm Monday-Thursday and 9am-5pm Friday, therefore you will not be able to monitor your investment funds over the weekend. Customers who are unable to telephone LV= are recommended to contact the insurance broker in writing by either posting a letter or by communicating via their email address. Alternatively you may wish to send a message via their various social media profiles, which also promote their policy prices. You can write to LV= customer services with your general enquiries and feedback about your insurance policy by posting your letters to their head office address which is provided below. However please be aware that they do not currently accept cheque payments to this address unless these have been previously approved by an advisor. You can email LV= with general enquiries by using their online address feedback@lv.com, where you can also register a complaint about your policy. However if you have a specific enquiry about your insurance you are likely to recieve a quicker response by visiting the help-page specific to your type of policy which you can access via the LV= website.